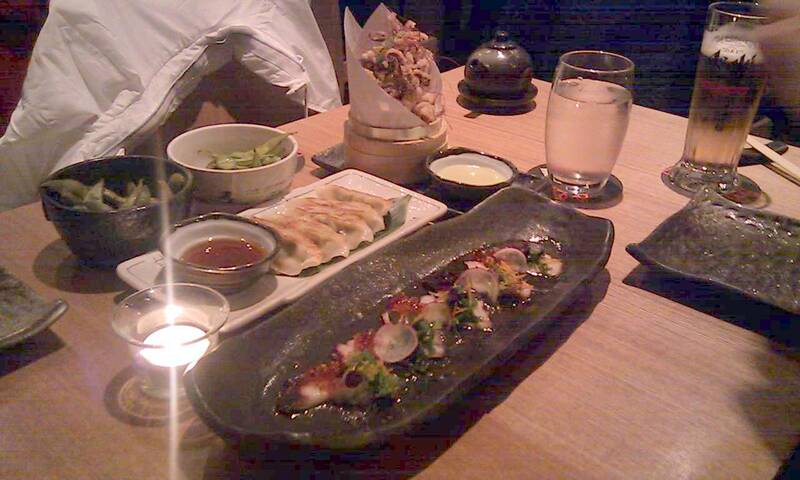 Nizuni is a gorgeous little Japanese place on Charlotte Street. I chose it due to its proximity to the Odeon on Tottenham Court Road, where P&P and I were going to watch Magic Mike, and because there was a Toptable deal of some sort. Turns out it was fabulous and much better than the movie. I admit it was so long ago I barely remember what we ordered - I can see edamame, sliced octopus with citrus sauce, deep fried squid and chicken gyoza in the picture, and we must have ordered some mains as well. But even though I might not have clear recollections of exactly what we ate, I know we really enjoyed the meal and that I would definitely go back if I was craving Japanese and in the area, so that will have to be enough.